Crafting friends are always generous. My inky buddy shared her wonderful Papertrey set and I made 6 cards with a random stamped sheet. This was one of them. The next day I ordered my own. It's a got to have it set!! The sunflower got lots of golden bling, and the two smaller flowers got a paler bling. 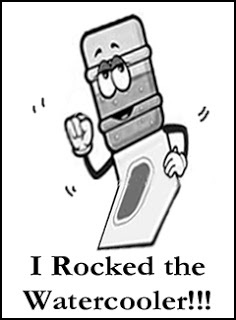 The sentiment was gold heat embossed. 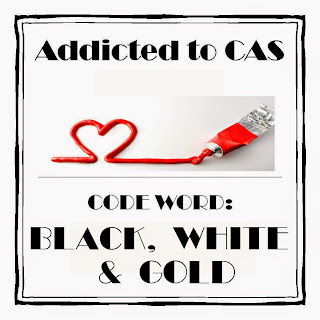 This is linked to Addicted to CAS Challenge #62. All that 'black space' replaces the usual CAS white space. Such a beautiful card, Dena! I love how you created the panel with your flowers and your sentiment is lovely with gold embossing! I can see why you would want to order this stamp set...so pretty!